Are you a fan of music and are looking for quality headphones? A raspy or scratchy music track is not that comforting when it comes down to music, either loud or soft. With so many in the market and new brands launching new devices you may get overwhelmed. So let’s take a look at some high quality headphones for under $100. Like the Audio-Technica ATH-M50x, these headphones are not small-sized headphones. 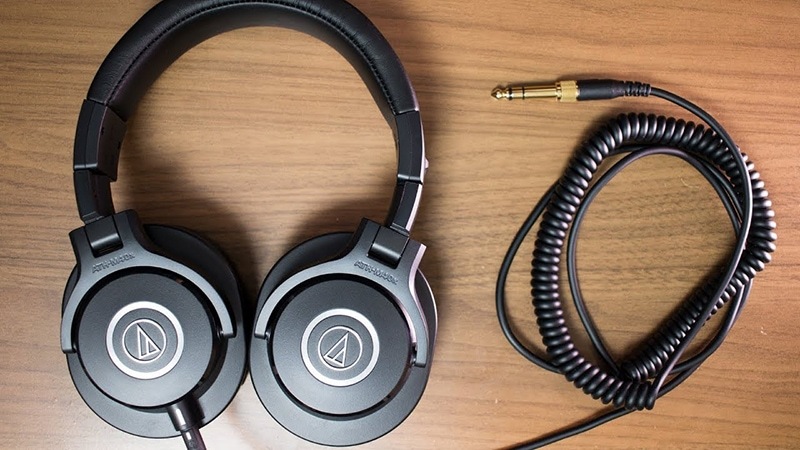 The Audio-Technica ATH-M40x comes in an average sized box, which contains a warranty card, two 3.5 mm audio cables, the headphones themselves and a pamphlet. 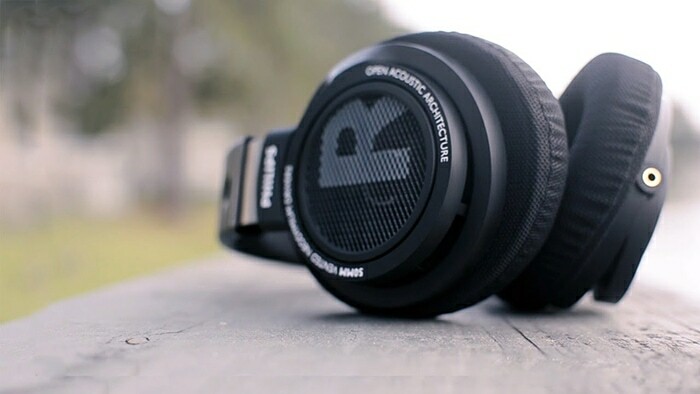 The headphones only come in one color, which is matte black with a silver finish on the logo. They are more suitable for sound production, studio or the wannabe DJ. These are headphones made for one purpose, listening to music. They can be quite uncomfortable to some, due to their 40mm sound drivers. However, the coiled jack is very useful in professional scenarios. The sound quality is very dynamic, and to some extent, the sound quality is better than the M50X. The M40x has a more old-school approach, so there is no Bluetooth connectivity.However, the tradeoff with this is a set of professional headphones that offer a more detailed listening experience. The M40x works pretty well on all devices so these headphones are a great bargain for just $99.99 on Amazon. We all love Sony when it comes to audio and visual gadgets. Being one of the oldest headphone makers since 1991, Sony is legendary for its audio equipment. The Sony MDR7506, with its 4.6 average rating on Amazon, is probably the best audio headphone for under $100. The MDR7506 has a lightweight design which adds to its sleek look. The Sony MDR7506 features a closed ear design that keeps away external noises. The neodymium magnet gives these headphones a dynamic high sound quality with a wide frequency range of 10khz to 20khz. These headphones do lack a modern design, but they make up for this shallow shortcoming with awesome dynamic sound. The 45mm cable may be restrictive for some. The fabric on the ear cups are soft but Sony could have done better on the material as its light and susceptible to wear and tear. 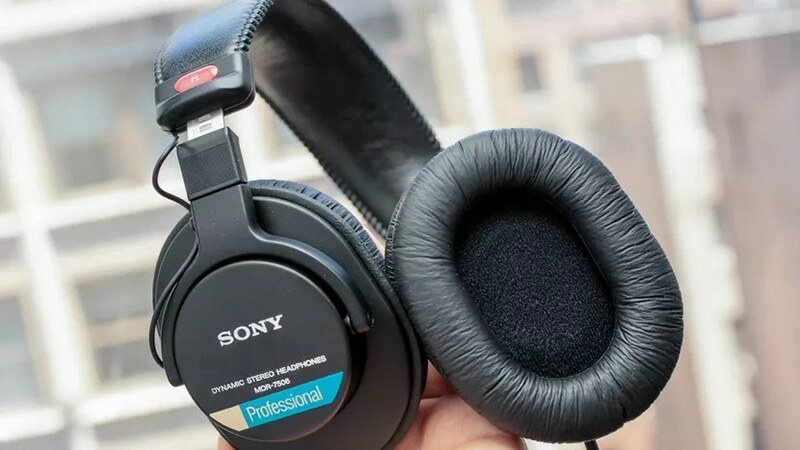 Finally, firm fitting headphones are considered superior, the Sony MDR7506 is quite loose and can fall off easily, hence the stability is not that great. However, the MDR750R does have a clean sound with virtually no audio leakage, which makes them an excellent choice. When headphones are mentioned Sennheiser can never be left out. Sennheiser is legendary when it comes to sound production and the Sennheiser HD280PRO live up to the Sennheiser name. It features amazing specs. What I love about the Sennheiser HD280PRO is the soft padding and the ease that comes with the rotating and folding ear cups. The HD280PRO features high ambient noise attenuation which is a must-have for all headphones. Are you a DJ? Then you will love the HD280PRO! The accurate, linear sound reproduction is a plus for DJs. A tough long cable comes with the HD280PRO which adds to the build quality of the headphones as well. However, if you are not into bulky headphones the Sennheiser HD280PRO are not the headphones for you as they are extra padded and quite big. The only major downside to the HD280PRO is that they lack ambient noise isolation and tend to have a poor mid-range audio quality. For some unknown reason, the company stopped making the Philips model SHP9500S, but these excellent headphones are still available to be purchased online. The harmonic sound made by the SHP9500S will have you feeling like you are floating in the air. Some critics of the SHP9500S say that these headphones are too bright in tone, but they are still a superb value for under $100. The SHP9500S features a great design which includes an aesthetically pleasing metallic enhancement. These headphones are comfy, giving you a long wear time without feeling the need to take them off. Sometimes the small things matter, such as the L and R signs which are clearly indicated on the headphones. This may seem like a trivial detail, but when you are in a rush the easy to read left/right labels can come in handy. The SHP9500S are also easily detachable and foldable. The SHP9500S really shines for gamers. The comfy but firm feel of the SHP9500S is perfect for that gamer who spends hours online. With a 3.8 average rating on Amazon, these headphones are still top of the list for headphones below $100. With a limited supply out there, one should definitely pick up a pair of SHP9500S’s. The Status Audio CB-1 Closed-Back Studio Monitor Headphones go for just $63 on Amazon. At this price, these headphones are a superb value. 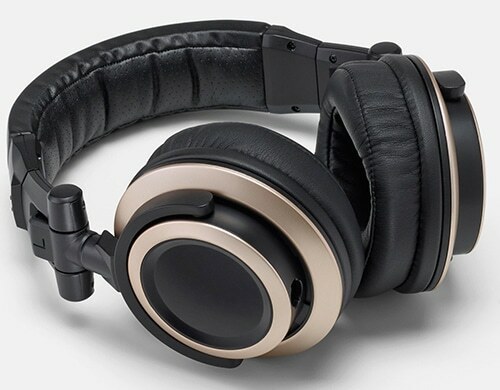 The design is very much on point as these headphones feature a black casing, goldish lining, and soft padding. The sound quality is game-changing, with amazing bass output and balanced treble. Reviewers from DJs, gamers and sound recordist or artists have overwhelmingly positive things to say about the CB-1. These headphones are good in and out of the studio. However, many say that the CB-1 is good for hip-hop but not recommended for soft rock. A plus is that these headphones feature an adjustable headband this makes it perfect for all head sizes. It provides perfect noise isolation making it an asset to instrumentalists. 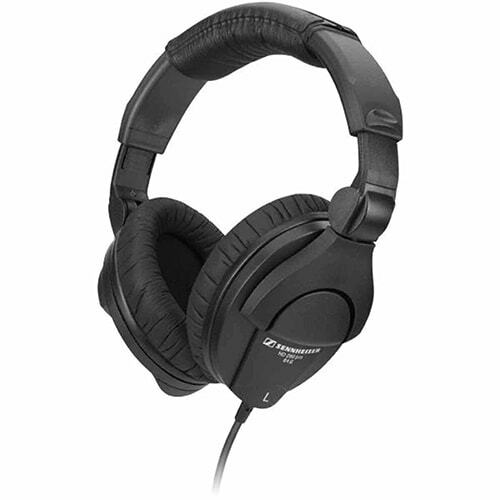 The CB-1 gives amazing audio in comparison to any headphones in this price class. These headphones even come with an extra audio cable as well. The CB-1 has a 4.4 rating on Amazon. Critics say it has an amateurish albeit very basic design, however, the price and the sound quality simply can not be beaten.